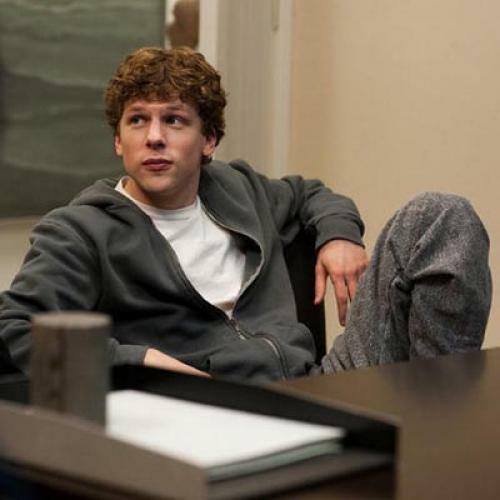 ‘The Social Network’ is wonderful entertainment, but its message is actually kind of evil. In 2004, a Harvard undergraduate got an idea (yes, that is ambiguous) for a new kind of social network. Here’s the important point: He built it. He had a bunch of extremely clever clues for opening up a social space that every kid (anyone younger than I am) would love. He architected that social space around the social life of the kids he knew. And he worked ferociously hard to make sure the system was stable and functioning at all times. The undergraduate then spread it to other schools, then other communities, and now to anyone. Today, with more than 500,000,000 users, it is one of the fastest growing networks in the history of man. That undergraduate is now a billionaire, multiple times over. He is the youngest billionaire in the world. In 2009, Aaron Sorkin (“Sports Night,” “The West Wing”) got (yes, the same word) the idea to write a script for a movie about this new social network. Here’s the important point: He made it. As with every one of his extraordinary works, Sorkin crafted dialogue for an as-yet-not-evolved species of humans—ordinary people, here students, who talk perpetually with the wit and brilliance of George Bernard Shaw or Bertrand Russell. (I’m a Harvard professor. Trust me: The students don’t speak this language.) With that script, and with a massive hand from the film’s director, David Fincher, he helped steer an intelligent, beautiful, and compelling film through to completion. You will see this movie, and you should. As a film, visually and rhythmically, and as a story, dramatically, the work earns its place in the history of the field. Not every account of a new world suffers like this. Alexis de Tocqueville showed the old world there was more here than there. But Sorkin is no Tocqueville. Indeed, he simply hasn’t a clue to the real secret sauce in the story he is trying to tell. And the ramifications of this misunderstanding go well beyond the multiplex. Two lawsuits provide the frame for The Social Network. One was brought by Cameron and Tyler Winklevoss, twins at Harvard who thought they had hired Zuckerberg to build for them what Facebook would become. The other was brought by Eduardo Saverin, Zuckerberg’s “one friend” and partner, and Facebook’s initial CFO, who was eventually pushed out of the company by Silicon Valley venture capitalists. These cases function as a kind of Greek chorus, setting the standards of right, throughout the film. It is against the high ideals they represent that everything else gets judged. And indeed, the lawyers are the only truly respectable or honorable characters in the film. When they’re ridiculed or insulted by Zuckerberg, their responses are more mature, and better, than Zuckerberg’s. (If you remember the scene in “The Wire” where Omar uses his wit to cut the lawyer to bits, that’s not this film.) The lawyers here rise above the pokes, regardless of the brilliance in Zuckerberg’s charge. This is kindergarten. They are the teachers. We’re all meant to share a knowing wink, or smirk, as we watch the silliness of children at play. In Sorkin’s world—which is to say Hollywood, where lawyers attempt to control every last scrap of culture—this framing makes sense. But as I watched this film, as a law professor, and someone who has tried as best I can to understand the new world now living in Silicon Valley, the only people that I felt embarrassed for were the lawyers. The total and absolute absurdity of the world where the engines of a federal lawsuit get cranked up to adjudicate the hurt feelings (because “our idea was stolen!”) of entitled Harvard undergraduates is completely missed by Sorkin. We can’t know enough from the film to know whether there was actually any substantial legal claim here. Sorkin has been upfront about the fact that there are fabrications aplenty lacing the story. But from the story as told, we certainly know enough to know that any legal system that would allow these kids to extort $65 million from the most successful business this century should be ashamed of itself. Did Zuckerberg breach his contract? Maybe, for which the damages are more like $650, not $65 million. Did he steal a trade secret? Absolutely not. Did he steal any other “property”? Absolutely not—the code for Facebook was his, and the “idea” of a social network is not a patent. It wasn’t justice that gave the twins $65 million; it was the fear of a random and inefficient system of law. That system is a tax on innovation and creativity. That tax is the real villain here, not the innovator it burdened. The case for Zuckerberg’s former partner is stronger, and more sensible and sad. But here again, the villains are not even named. Sorkin makes the autodidact Sean Parker, co-founder of Napster, the evil one. (No copyright-industry bad blood there.) I know Parker. This is not him. The nastiest people in this story (at least if Sorkin tells this part accurately) were the Facebook lawyers who show up in poorly fitting suits and let Saverin believe that they were in this, as in everything else they had done, representing Saverin as well. If that’s what actually happened, it was plainly unethical. No doubt, Saverin was stupid to trust them, but the absurdity here is a world where it is stupid to trust members of an elite and regulated profession. Again, an absurdity one could well miss in this film between all the cocaine and practically naked twentysomethings. But the most frustrating bit of The Social Network is not its obliviousness to the silliness of modern American law. It is its failure to even mention the real magic behind the Facebook story. In interviews given after making the film, Sorkin boasts about his ignorance of the Internet. That ignorance shows. This is like a film about the atomic bomb which never even introduces the idea that an explosion produced through atomic fission is importantly different from an explosion produced by dynamite. Instead, we’re just shown a big explosion ($25 billion in market capitalization—that’s a lot of dynamite!) and expected to grok (the word us geek-wannabes use to show you we know of what we speak) the world of difference this innovation in bombs entails. What is important in Zuckerberg’s story is not that he’s a boy genius. He plainly is, but many are. It’s not that he’s a socially clumsy (relative to the Harvard elite) boy genius. Every one of them is. And it’s not that he invented an amazing product through hard work and insight that millions love. The history of American entrepreneurism is just that history, told with different technologies at different times and places. Instead, what’s important here is that Zuckerberg’s genius could be embraced by half-a-billion people within six years of its first being launched, without (and here is the critical bit) asking permission of anyone. The real story is not the invention. It is the platform that makes the invention sing. Zuckerberg didn’t invent that platform. He was a hacker (a term of praise) who built for it. And as much as Zuckerberg deserves endless respect from every decent soul for his success, the real hero in this story doesn’t even get a credit. It’s something Sorkin doesn’t even notice. For comparison’s sake, consider another pair of Massachusetts entrepreneurs, Tom First and Tom Scott. After graduating from Brown in 1989, they started a delivery service to boats on Nantucket Sound. During their first winter, they invented a juice drink. People liked their juice. Slowly, it dawned on First and Scott that maybe there was a business here. Nantucket Nectars was born. The two Toms started the long slog of getting distribution. Ocean Spray bought the company. It later sold the business to Cadbury Schweppes. At each step after the first, along the way to giving their customers what they wanted, the two Toms had to ask permission from someone. They needed permission from a manufacturer to get into his plant. Permission from a distributor to get into her network. And permission from stores to get before the customer. Each step between the idea and the customer was a slog. They made the slog, and succeeded. But many try to make that slog and fail. Sometimes for good reasons. Sometimes not. Zuckerberg faced no such barrier. For less than $1,000, he could get his idea onto the Internet. He needed no permission from the network provider. He needed no clearance from Harvard to offer it to Harvard students. Neither with Yale, or Princeton, or Stanford. Nor with every other community he invited in. Because the platform of the Internet is open and free, or in the language of the day, because it is a “neutral network,” a billion Mark Zuckerbergs have the opportunity to invent for the platform. And though there are crucial partners who are essential to bring the product to market, the cost of proving viability on this platform has dropped dramatically. You don’t even have to possess Zuckerberg’s technical genius to develop your own idea for the Internet today. Websites across the developing world deliver high quality coding to complement the very best ideas from anywhere. This is a platform that has made democratic innovation possible—and it was on the Facebook platform resting on that Internet platform that another Facebook co-founder, Chris Hughes, organized the most important digital movement for Obama, and that the film’s petty villain, Sean Parker, organized Causes, one of the most important tools to support nonprofit social missions. The tragedy—small in the scale of things, no doubt—of this film is that practically everyone watching it will miss this point. Practically everyone walking out will think they understand genius on the Internet. But almost none will have seen the real genius here. And that is tragedy because just at the moment when we celebrate the product of these two wonders—Zuckerberg and the Internet—working together, policymakers are conspiring ferociously with old world powers to remove the conditions for this success. As “network neutrality” gets bargained away—to add insult to injury, by an administration that was elected with the promise to defend it—the opportunities for the Zuckerbergs of tomorrow will shrink. And as they do, we will return more to the world where success depends upon permission. And privilege. And insiders. And where fewer turn their souls to inventing the next great idea. I had always hoped (naively, no doubt) that this point would be obvious to the creators of film. No field of innovation is more burdened by the judgments of idiots in the middle than film. Scores of directors have watched in horror as their creativity gets maimed by suits-carrying-focus-groups. I had thought that if only these creators would let themselves understand the ethic of Internet creativity—where the creator gets to speak directly to an audience, where an audience is brought on stage, and talks back—they would get it. And if they did, that there might actually be a chance for this understanding to be shown in one of the only ways this culture understands anymore—through film. Indeed, as I walked into this film unprimed by early reviews, I had hoped, “West Wing” fan-boy that I am, that of all the storytellers in Hollywood, Sorkin was most likely to get it. He didn’t. His film doesn’t show it. What it shows is worth watching. But what it doesn’t show is an understanding of the most important social and economic platform for innovation in our history. Zuckerberg is a rightful hero of our time. I want my kids to admire him. To his credit, Sorkin gives him the only lines of true insight in the film: In response to the twins’ lawsuit, he asks, does “a guy who makes a really good chair owe money to anyone who ever made a chair?” And to his partner who signed away his ownership in Facebook: “You’re gonna blame me because you were the business head of the company and you made a bad business deal with your own company?” Friends who know Zuckerberg say such insight is common. No doubt his handlers are panicked that the film will tarnish the brand. He should listen less to these handlers. As I looked around at the packed theater of teens and twenty-somethings, there was no doubt who was in the right, however geeky and clumsy and sad. That generation will judge this new world. If, that is, we allow that new world to continue to flourish. Lawrence Lessig is a professor at Harvard Law School and the director of the Edmond J. Safra Foundation Center for Ethics.